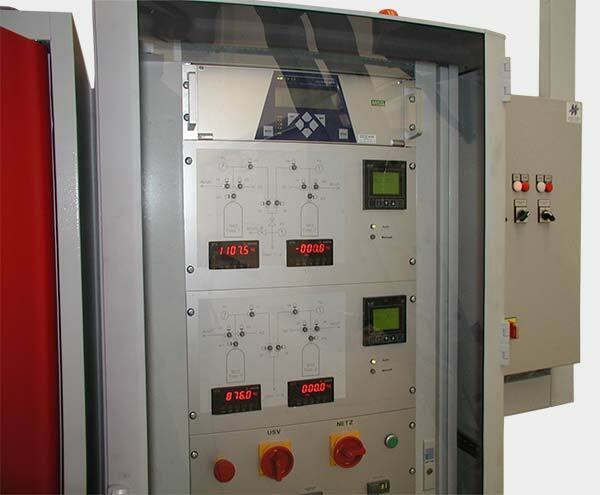 Gas panels or gas control systems are available in many different versions. It may be a gas blender for two gases for forming or shielding gas, for synthetic air or air with reduced oxygen content. 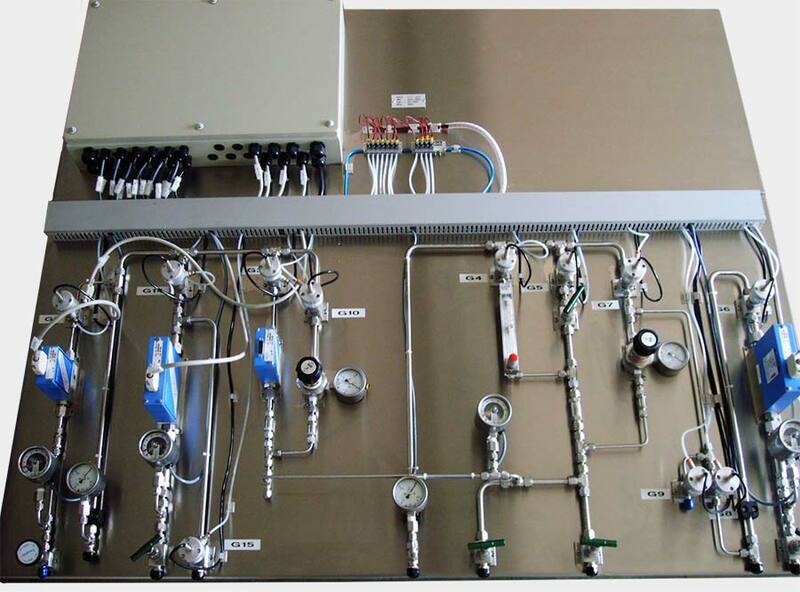 It may be a gas system to control e.g. 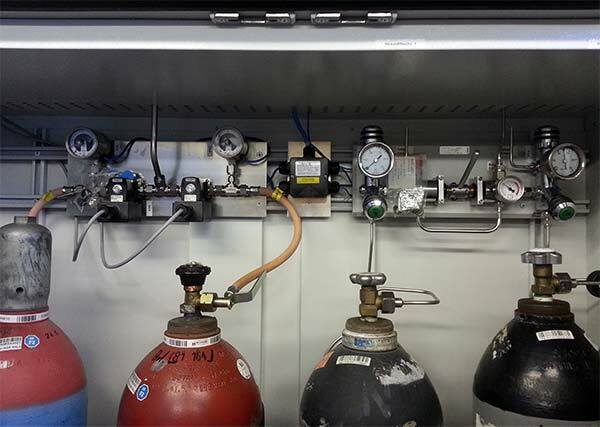 8 gases for a reference gas mixture to check gas sensors or to simulate ambient air conditions to test the resistance and/or the behaviour of products in the presence of corrosive or otherwise harmful gases. Or to supply the right mixture to a deposition process. The mixing ratio is in any case continuously variable. 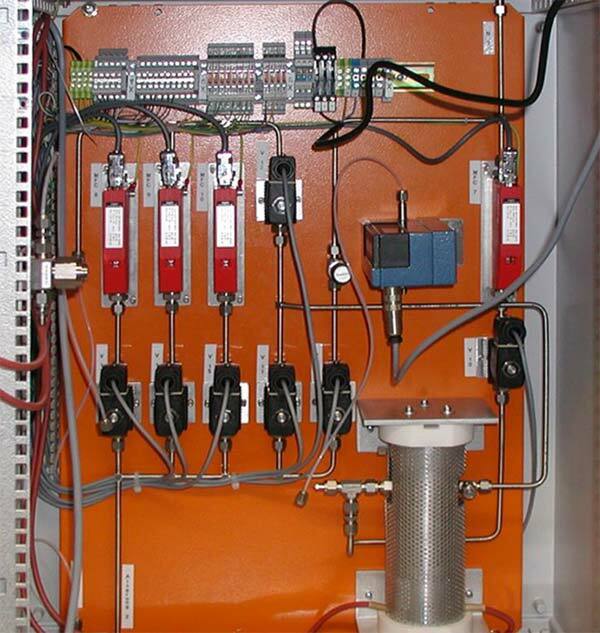 The central part of SIGAs gas control systems are MFCs, mass flow meters and controllers. 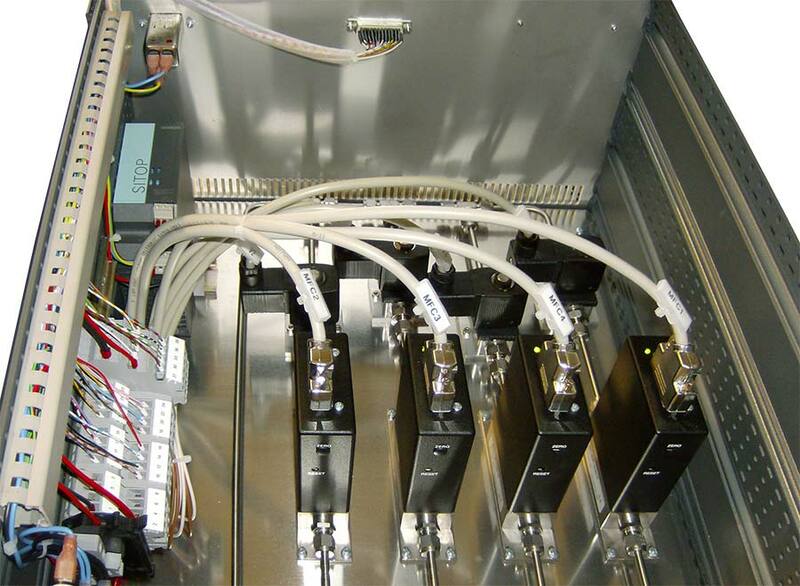 The detected physical measurement is based on the transport of heat across the sensor element. Physical properties of the gas alongside the number of gas molecules influence the result. As a result, a true mass flow is measured. 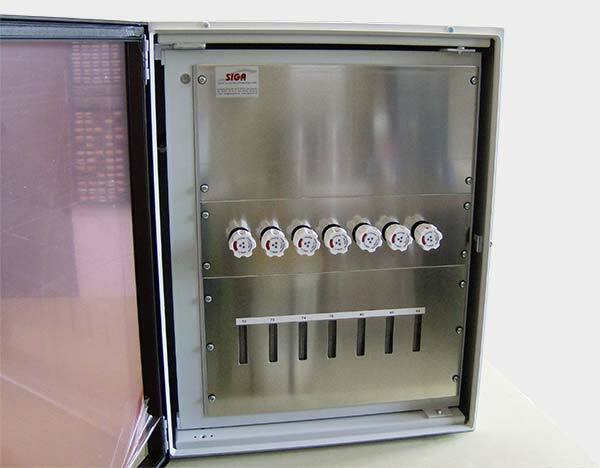 The units are calibrated to show Litre/Minute based on standard conditions at 0°C and 1013 hPa. Conversion factors can be used as different gases flow across the unit. 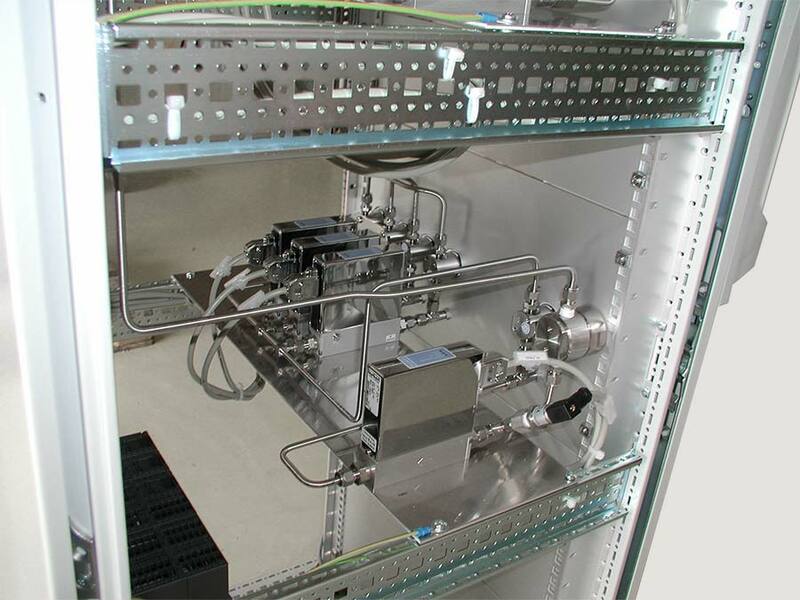 Other important components of our gas mixing units are valves, either diaphragm or bellow sealed. The valves are usually pneumatically activated, normally closed or normally open. Valves at the system inlet or purge valves may also be manually operated. As another option, solenoid valves can be used. 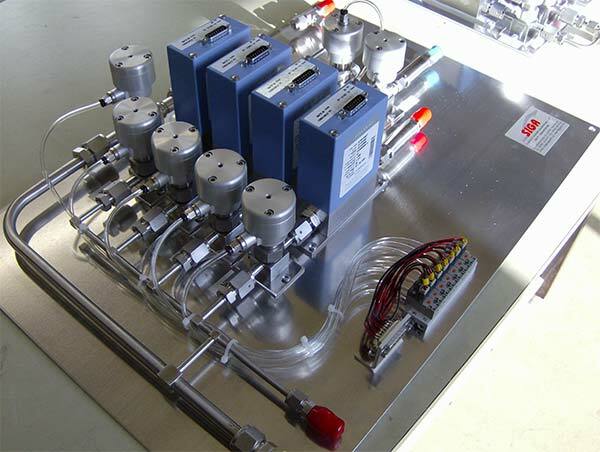 To complete the system we add pressure regulators, pressure gauges and transmitters, check valves, etc. Components are always selected according to the requirement of each application. Tube connections are orbital welded under inert gas. Where parts need to be removed we use compression fitting or face seal fittings, e.g. Swagelok and VCR-fittings or compatibles. For the face seal fittings we use stainless steel gaskets, with or without silver plating. 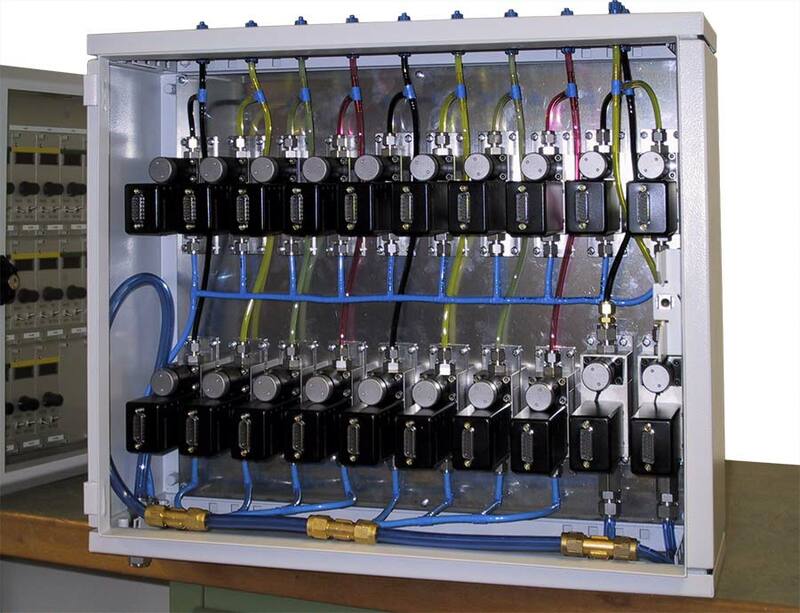 Gas control systems are built into a steel enclosure with powder coating. 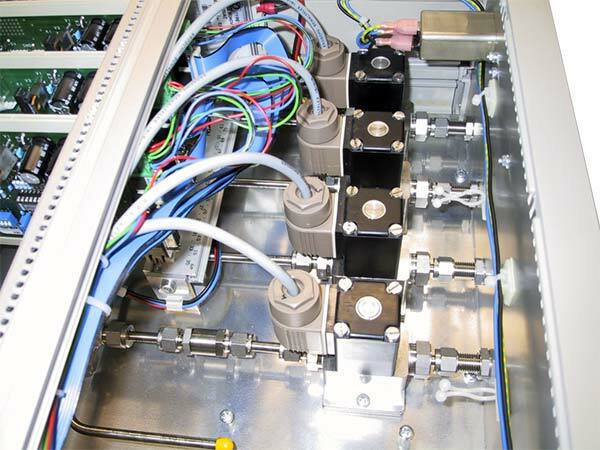 In some cases mounting is required on a mounting plate. Systems are then integrated in the customer's system. For system control SIGA offers programmable controllers with a touch screen for visualisation and operator interaction. 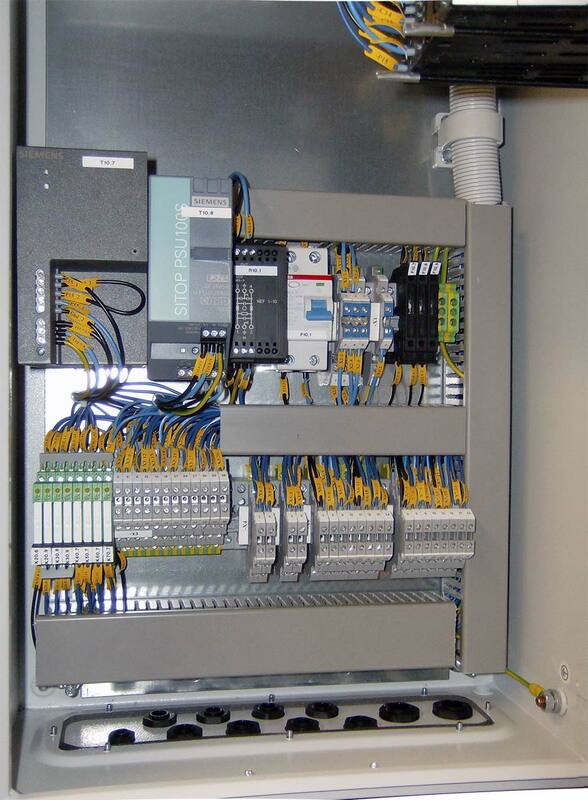 As an alternative all signals can be wired to a bus coupler with Profibus DP or another serial interface for communication with the system's upstream controller. As another option all signals can also be wired to a terminal strip or a connector for connection with the system's controller.